CONTACT CONGRESS for FET reduction! It’s time to ask your congressman and senators to co-sponsor the Federal Excise Tax reduction bill. See below for the blast from ACSA. CLICK HERE to get the contact info for your US Senators and US Congressman. and send them an email to ask them to co-sponsor bipartisan bills S. 362 and H.R. 1175. The reduced Federal Excise Tax (FET) will expire on December 31, 2019. The rate will increase from $2.70 to $13.50 per pg. In 2017, Congress enacted, for the first time, parity for craft spirits and provided a reduced FET for distillers. Before the passage of H.R. 1 in December of 2017, it was a one-size-fits-all flat tax rate on large and small distillers; craft spirits producers previously paid 5.4 times more FET than craft brewers and 16.4 times more FET than small wineries for equal quantities of beverage alcohol. Legislation to permanently extend the craft FET rate has been introduced in the Senate and House, bill numbers S.362 and H.R. 1175. Craft distillers must communicate with their Senators and Members of Congress now and ask them to co-sponsor bipartisan bills S. 362 and H.R. 1175. Distillers should also ask their Senators and Members to speak to the leadership of the Senate Finance Committee and House Ways and Means Committee and ask that the FET bills be added to any tax legislation moving through the Congress. The tax relief is working, just as Congress believed it would, by way of direct reinvestment into businesses. 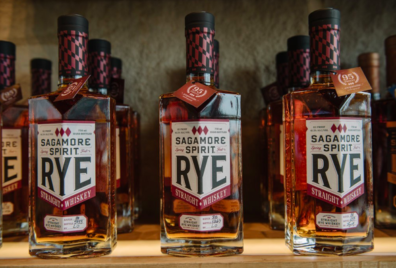 Craft distillers are hiring new employees, purchasing American made equipment, expanding distillery spaces, and increasing grain purchases from local agriculture. The growth of craft distilling is supporting Main Street, small business job growth, tourism, exports, rural and urban America economic development, and locally sourced products, the vast majority of which are made and sourced in the U.S. The legislation further helps craft brewers, vintners, and cideries. This is the reason every major beer, wine, cider and spirits group has endorsed these bills. Please call or e-mail your Congressman and Senators today and ask them to co-sponsor S. 362 (202-224-3121) www.senate.gov, and H.R. 1175 (202-225-3121) www.house.gov.